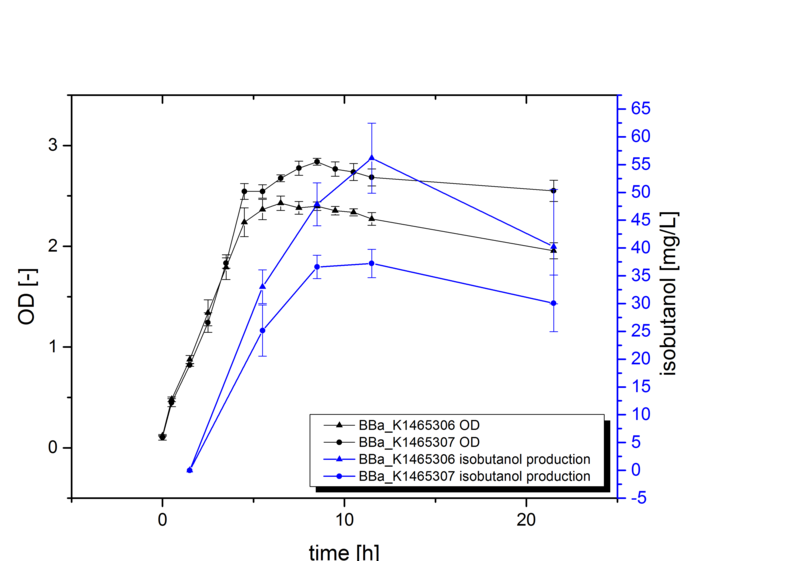 The aim of the third module of our project is the production of isobutanol in Escherichia coli, which was already shown by Atsumi et al., 2008. 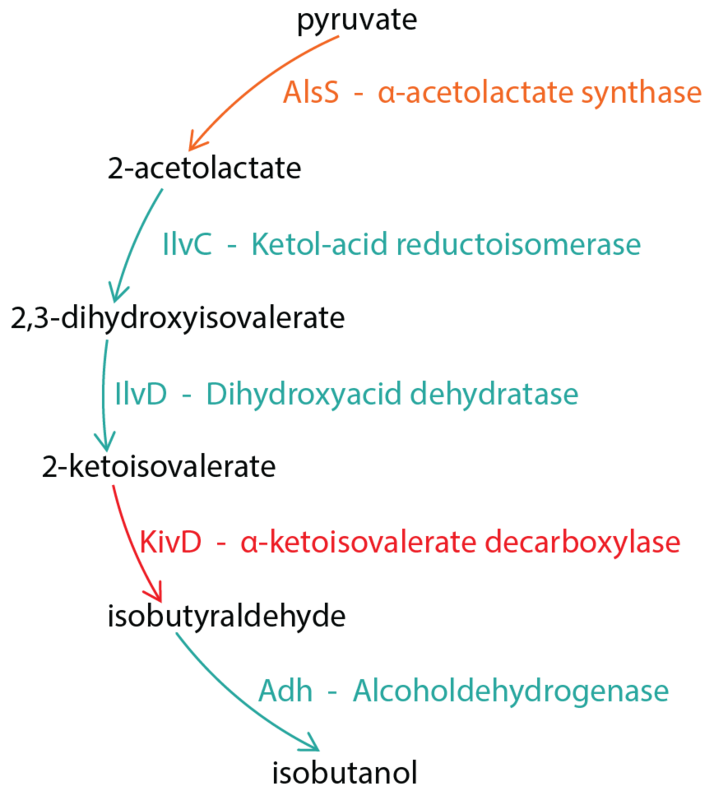 We successfully implemented the pathway shown in Figure 1. We additionally showed the successful overexpression of all proteins via SDS Pages and the production of isobutanol in E. coli (Figure 2). Figure 2: Comparison of the growth and the isobutanol production for cultures at 37°C. Here you will find information about the execution of our experiments.